Tokyo Police Club have announced a handful of shows throughout major US cities this spring, including a night at Brooklyn’s Warsaw on March 12. The dates span cities including Boston, Philadelphia, Atlanta, and Nashville and will kick off on March 8 and finish on March 23. The band is currently on a North American tour, hitting New York City’s Baby’s All Right on October 16 with Fleece providing support. Both tours are in support of their fourth studio album which just dropped on October 5 via Dine Alone, titled TPC. It features singles “Hercules” “New Blues” and “Simple Dude.” The album marks the band’s first LP in four years, following up their 2014 release, Forcefield. Their previous albums include their debut 2008 release Elephant Shell which dropped via Saddle Creek and their sophomore 2010 release Champ via Mom + Pop Music. Despite the gap between albums, Tokyo Police Club have come together to produce an album that’s made the four year wait worth it. Earlier this year, they toured with Matt & Kim and Future Feats throughout North America where they stopped by New York City’s Brooklyn Steel for a two-night engagement. In between the third and fourth albums, they released a two-part EP titled, Melon Collie and the Infinite Radness, which dropped in 2016. 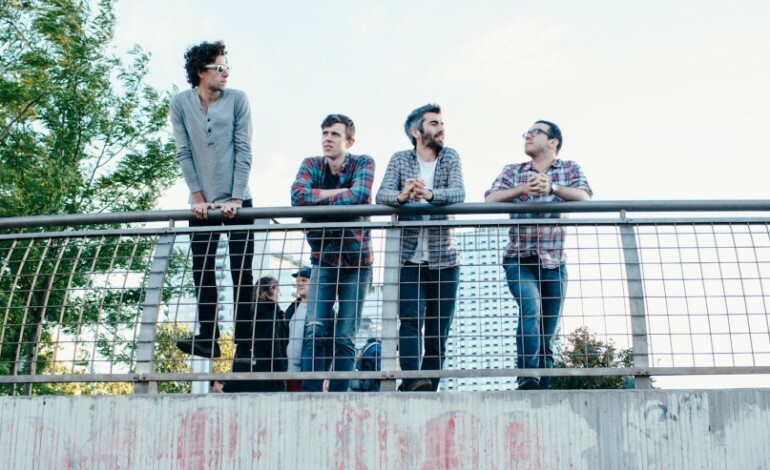 The EPs featured the singles “Not My Girl” and “My House.” Their latest effort, TPC, marks a new era for Tokyo Police Club, one ripe with energetic ambition to continue to explore their sound and continue providing their enthusiastic fan base with unforgettable music.